Most EAPs offer organizations integrated dependent care resource and referral services (for children and the elderly). Typically, dependent care services are accessed through by phone (some EAPs make this service available 24/7) or via the EAP website. There is significant variation, however, in what these services offer employees and how they are actually delivered. Some EAPs provide employees with information about the dependent care resources in their geographic area but do not take the next step of verifying the validity of the information they are passing on. This can turn out to be a big headache for employees who may find out they have the wrong telephone number (common in public directories) or that the programs they have been referred to do not have openings, are too expensive or lack an essential feature. In the case of elder care, employees are often uncertain about what services are available and what their parents (or grandparents) need most. Simply sending these employees a detailed catalog of all the available options can backfire and end up overwhelming the employee with too much information. What they really need in these situations is to speak to an experienced counselor who is completely familiar with the available options and can explain the services and provide support and guidance at each step along the way. 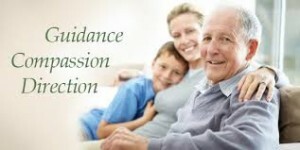 Andrew called the EAP and was connected with an elder care consultant who was trained in elder crisis intervention who interviewed Andrew about his mother’s needs. Together they realized that Andrew’s mother had outlived her friends and relatives in Pennsylvania and there was no reason she couldn’t move closer to her son. Provided Andrew with selected web-based resources concerning senior living and memory impairment. Offered to connect him with EAP counseling for his own distress. Began searching for facilities within a 25 mile radius of Andrew’s home with dementia units that could provide appropriate care. The consultant quickly identified and contacted 35 facilities that might be suitable. She reduced that list to four that had verified openings and confirmed the costs, available services, living arrangements and socialization opportunities. However, when she shared the information with Andrew he was clearly overwhelmed at the prospect of touring the facilities and completing the admissions paperwork. Our consultant then referred him to a geriatric case manager who could complete the necessary research and footwork. Andrew was relieved to have a local professional help him with this important decision. The geriatric case manager he selected visited the four facilities and narrowed the selection to the two that best matched his mother’s needs. She arranged and accompanied Andrew to tours of these facilities after work hours and helped him prepare questions to ask during the visits. Together they selected the more appropriate of the two facilities. For his part, Andrew reported that he had been able to keep up with his work project and keep his stress in check. He calculated that the EAP had saved him from missing a week or more of work. There is significant variability among EAP dependent care resource and referral services. Make sure you understand exactly the level of assistance your employees are receiving.